Forepaw Software presents Reflection of a Fallen Feather, a retro-styled “Adventure RPG” set for release on XBOX Live Indie Games in December 2013 for $1, and for the PC early 2014. Trapped in a mysterious labyrinth – explore crystalline caves, dim dungeons, and subterranean forested lakes in a quest to uncover an exit to the surface. Jump, smash, swim, and manipulate the environment to unveil artifacts used to access new areas or to strengthen your party in battle against the dangerous hordes wandering the labyrinth. To survive, transform into defeated enemies, and mix and match enemy abilities to create custom classes for your characters. Reflection offers an open-ended structure with a focus on exploration. 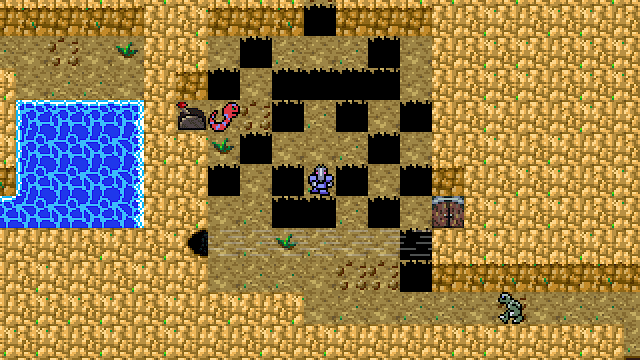 New areas of the labyrinth are accessed through the acquisition of various tools, allowing the player to interact with elements on the map in new ways. For example, feathers are used to perform jumps across small gaps and a stone dagger is used to unlock portals between marble pedestals. Previously visited areas present new challenges as new tools are discovered. The labyrinth is packed with alternate routes, secrets, interactive elements, and traps. Helpful treasures are hidden throughout the maps and pressure plates and pitfalls are designed to keep players on their toes. 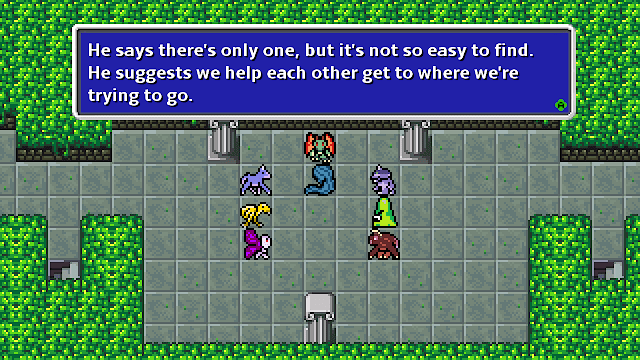 Puzzle solving and thorough exploration are equal parts important to battling enemies. 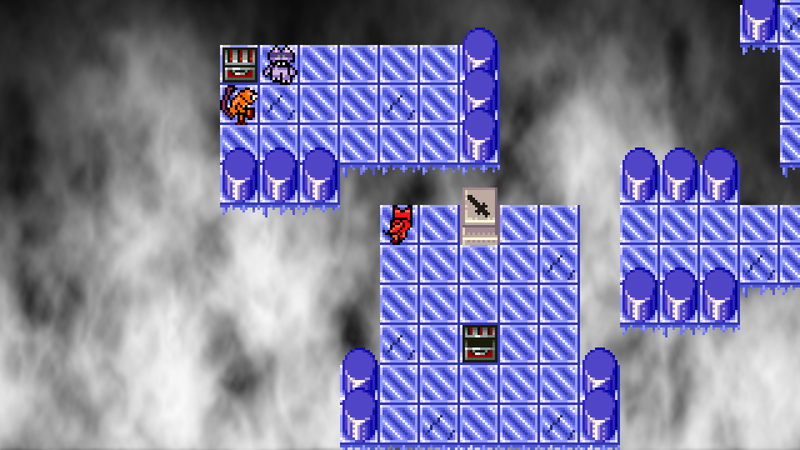 There are no random battles—all enemies are visible on the map allowing the player to decide if they are prepared for a given encounter. 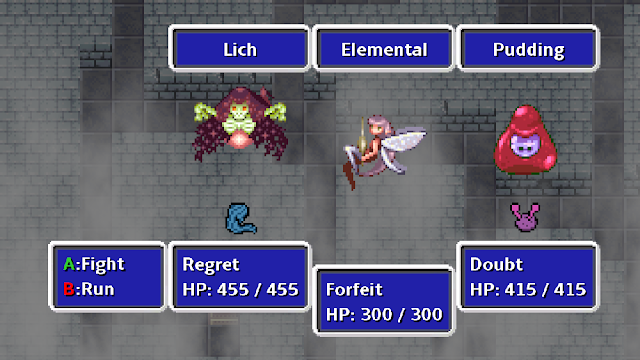 Player characters don’t “level up” in the traditional sense, but rather improve their stats and gain new abilities by transforming into defeated enemies. 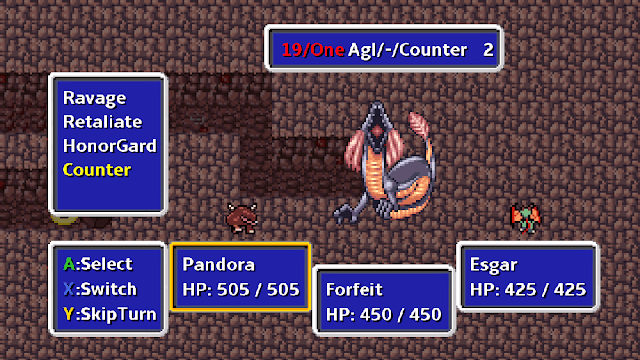 By transforming into a stronger monster, the player character will inherit the defeated enemy’s base stats, strengths, weaknesses, and abilities. 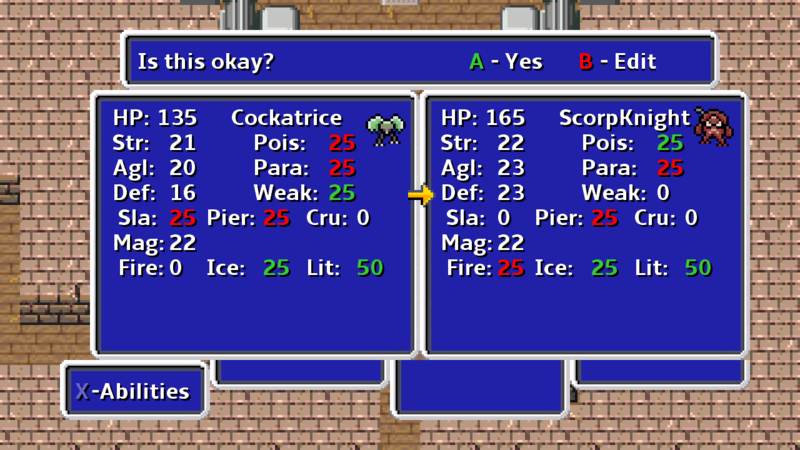 In addition, the player character can carry over two abilities, and the stat bonus associated with these abilities, from prior transformations. Thus any given player character is a fusion of up to three different types of monsters allowing a wide range of customization. A support-magic focused Sylph can be complemented with attack magic from a Watcher to create a high damage, but fragile, magic user. This same Sylph could also be balanced with abilities borrowed from a defense focused Taurus, to create a durable support-spell mage. The possibilities are truly endless. 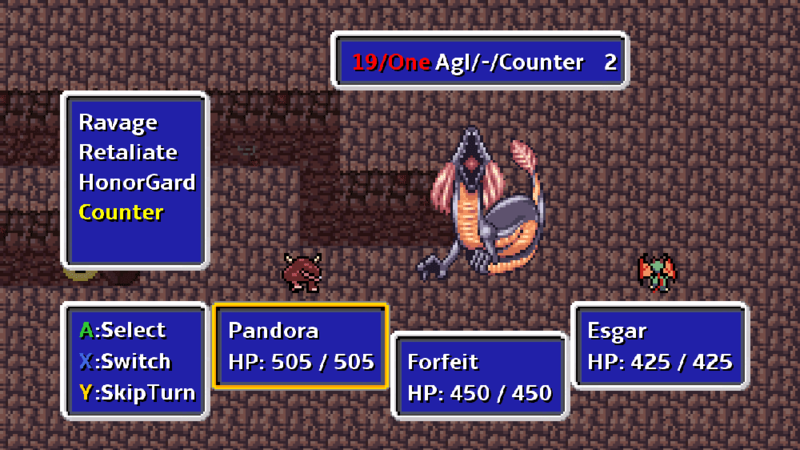 Player characters are further customized through accessories that can boost stats, minimize weaknesses, and double attacks, among other uses. Reflection features a turn-based battle system with a focus on identifying and exploiting enemy weaknesses. All enemies and the player characters are inherently strong or weak to various types of physical attacks (slash, pierce, crush), magical attacks (fire, ice, lit), and status effects (poison, paralysis, weakness). 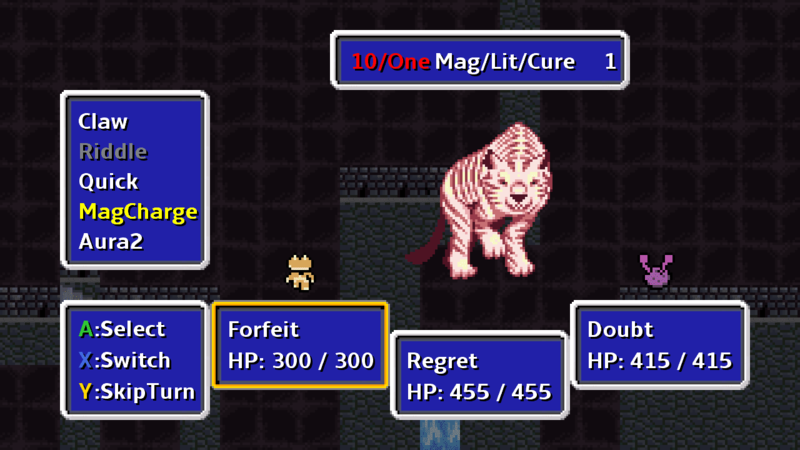 Part of the challenge is to create player characters with a range of physical and magical attack abilities while minimizing the player character’s own inherent weaknesses through ability and accessory selection. Atypically, status effects are a real threat for player and enemy alike, and can often turn the tide of even boss battles.